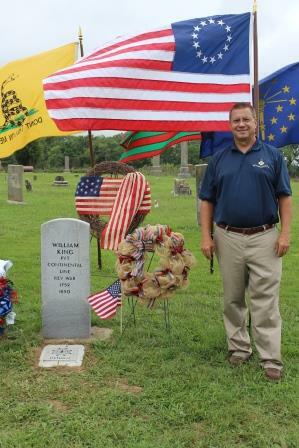 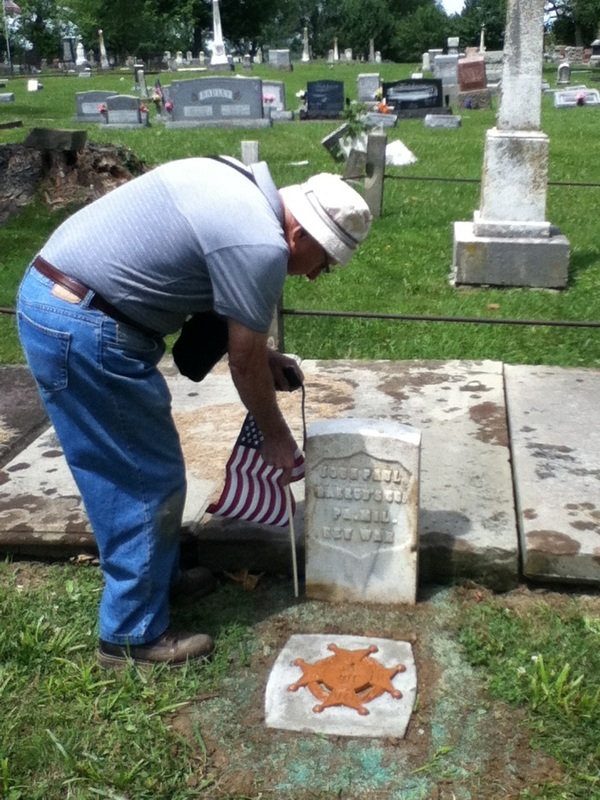 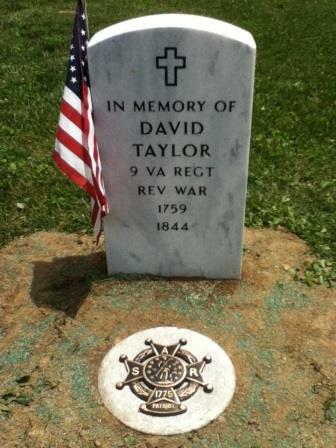 Compatriot Lee Rogers placing a flag on Flag Day by Patriot John Paul's gravesite. 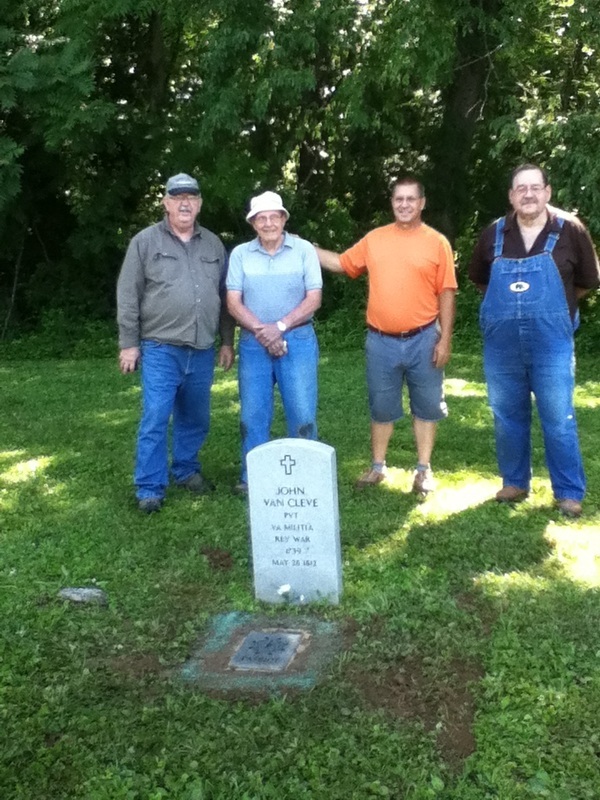 SAR Marker placed by Allen Manning, Jack Oliver and Lee Rogers. Donna Denning, John Paul Chapter NSDAR, assisted the effort. 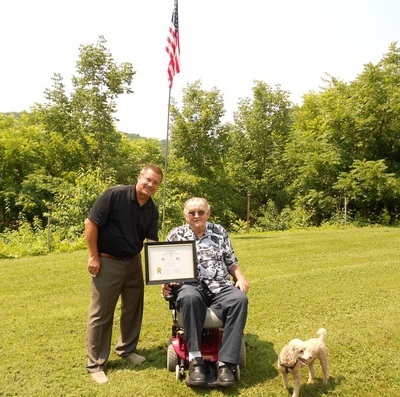 The first Clifty Creek Chapter SAR Flag Certificate was presented to Bernard Breeck on 27 Jun 2014 by Chapter Secretary, Allen Manning. 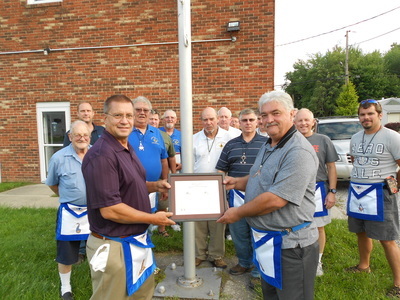 A Clifty Creek Chapter SAR Flag Certificate was presented to Hanover Lodge #652 Free & Accepted Masons on 3 Jul 2014 by Chapter Secretary, Allen Manning. 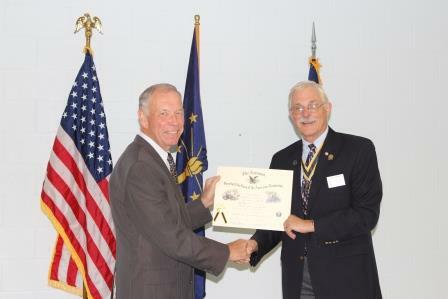 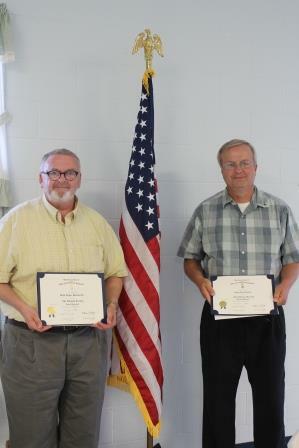 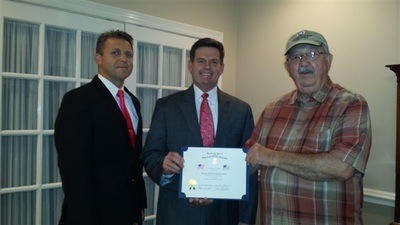 Clifty Creek Chapter President receives Chapter Charter from INSSAR President William Sharp, 2 Sep 2014. 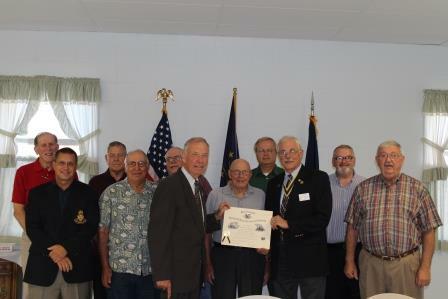 John Hutchinson, Allen Manning, Paul Konkle, Don Carmichael, Ed Cozart, Don Perkins, Lee Rogers, Gary Gellert, William Sharp, John Blasdel and Nick Shultz. 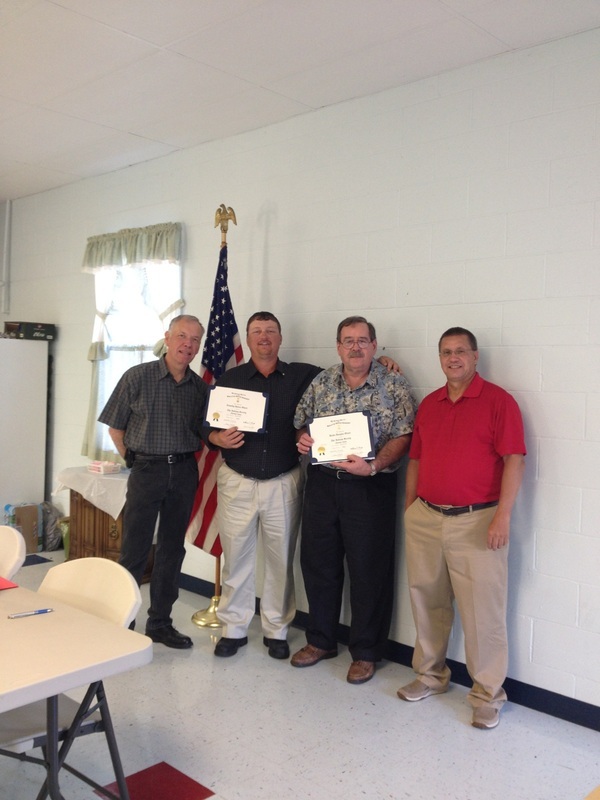 Charter members of the Clifty Creek Chapter. 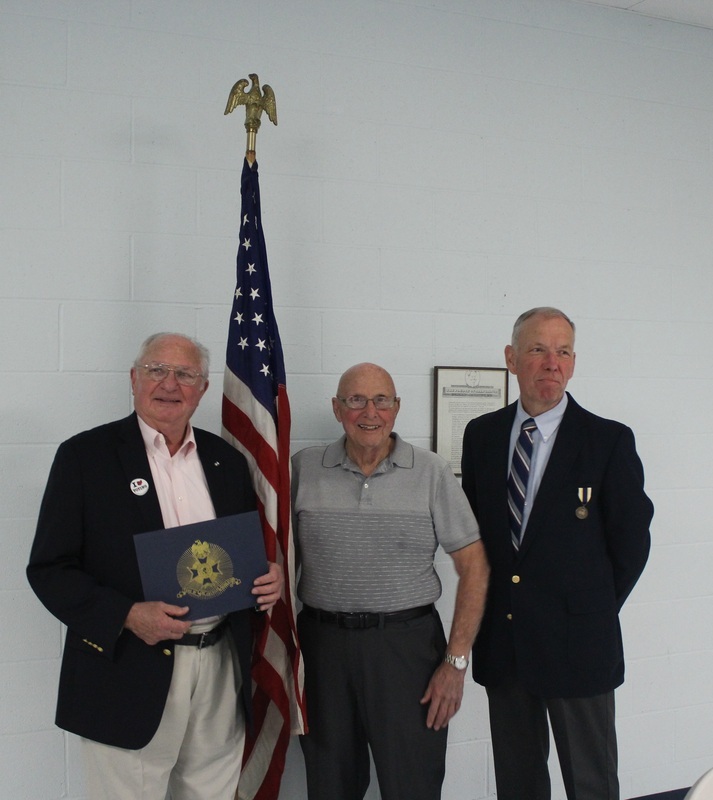 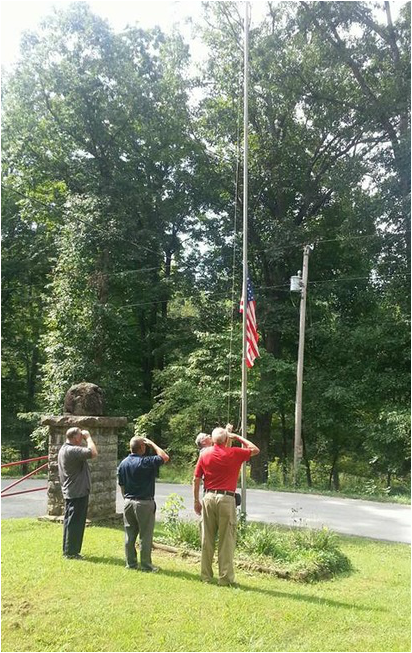 Paul Konkle, John Hutchinson, and Allen Manning present the colors at the John Paul Chapter meeting on 16 Sep 2014. 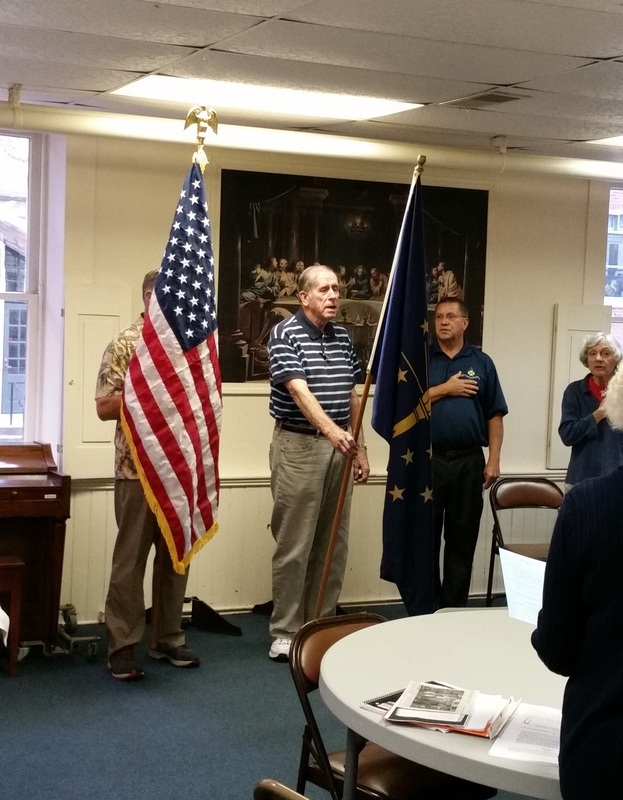 Compatriot Ed Cozart giving presentation on John Honeyman, George Washington's Spy.